Notre Dame’s home contest against DePaul was cancelled Tuesday due to the heavy amount of rain the field has taken on in the past few days, but the Irish are still set to square off against Toledo on Wednesday afternoon at Melissa Cook Stadium. No. 24 Notre Dame (37-11 overall, 16-5 ACC) is in the midst of a 23-game win streak, the second longest in program history. In 2001, the Irish strung together 33 straight victories. The current Irish streak includes 16 straight home victories and five straight three-game series sweeps against ACC opponents. Irish junior pitcher Allie Rhodes warms up during Notre Dame’s 10-1 win over Syracuse on Saturday at Melissa Cook Stadium. Rhodes allowed one run and struck out six over five innings of work. It’s been 39 days since the Irish last lost a ballgame, with the win streak beginning after sophomore Rachel Nasland’s no-hitter in a 12-0 victory at Florida State on March 15th. Irish head coach Deanna Gumpf said she and her team are not necessarily focused on the historic streak, and it’s something that’s not even brought up when she talks to her team. Gumpf had a similar response when asked about the possibility of a perfect 2015 home record. The Irish are 16-0 at Melissa Cook Stadium, with the game Wednesday afternoon and a three-game home series against North Carolina this weekend remaining on the schedule. “Haven’t thought about it, don’t want to [think about it],” she said. “We’ve done a great job of using our pitchers, and they’ve done a great job of containing hitters and giving us a chance to win,” Gumpf said. The Irish have given up just 54 runs in the past 23 games, meaning their opponents are averaging just 2.3 runs per contest. The Irish, on the other hand, have scored 193 runs over that same stretch, averaging 8.4 runs per game. Gumpf said she has seen consistency from her team in many aspects of the game. “It’s all areas of the game for us right now, pitching, with hitting, we’re making solid contact, and defensively, we’re playing well too,” Gumpf said. With just five regular season games remaining, Gumpf said it is a positive to be playing so well during the homestretch of the season. 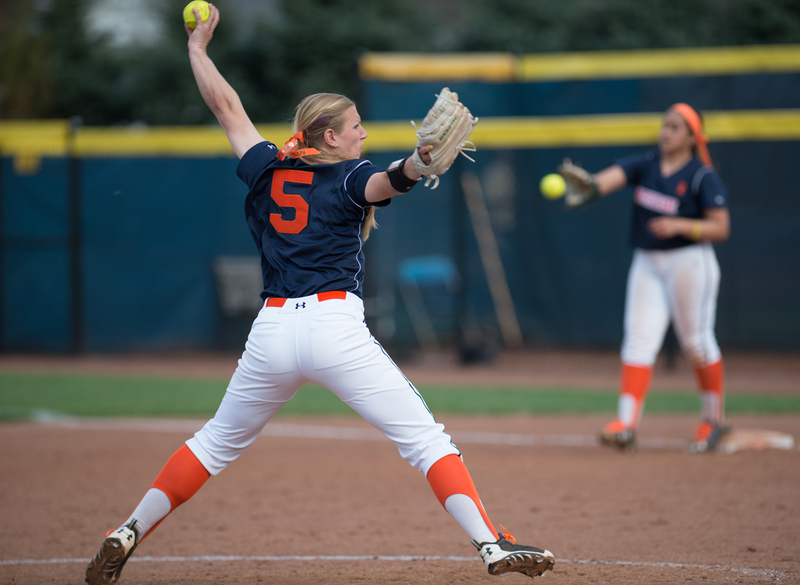 “We want to finish the season strong to put us in a good position going into the ACC tournament,” Gumpf said. Currently, the Irish are in third-place in the ACC standings, trailing first-place No. 10 Florida State (17-3 ACC record) by two games and one behind the second-place Tar Heels (15-4). The Irish welcome Toledo (19-26 overall, 4-10 MAC) to campus Wednesday. Gumpf said tomorrow’s contest will test her team’s defensive and pitching abilities, citing the Rockets’ offensive talent as something the Irish must contain. “They like to run, so they’re going to be hitting and running, so we just have to do a good job of keeping them in check, getting outs and playing good defense,” Gumpf said. In last season’s matchup, the Irish defeated the Rockets 17-2 in five innings. The first pitch in tomorrow’s contest at Melissa Cook Stadium is scheduled for 5 p.m.